This is a continuation of the topic Anita (FAMeulstee) reads on in 2018 (8). This topic was continued by Anita (FAMeulstee) reads on in 2018 (10). The great black cormorant is a common bird here. The first birds I noticed when we came to live here were large groups of cormorants in flight (left). 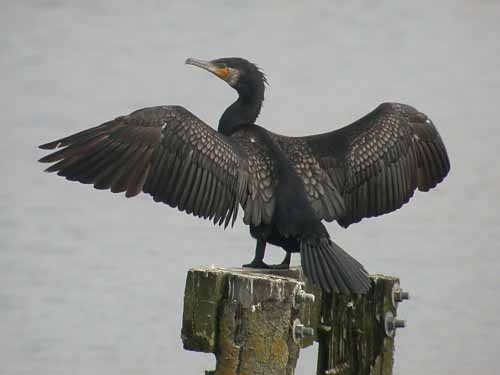 Also a typical imagae of the cormorant, drying their feathers. I have a large collection of mostly awarded childrens & YA books. At the moment I am reading the books I haven't read since joining LT, mostly alphabeticly, to decide which to keep. 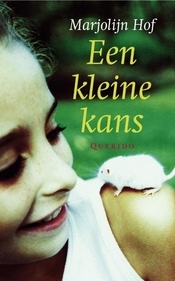 The ones not to keep are donated to a library in Rotterdam (where we lived until 2005). I started in 2018 with 697 childrens/YA books, of those 350 are TBR. I keep trying to read more of my own books, of the 452 books I have read in 2017 238 (53%) were my own. This year I try again to read at least 50% books of my own. I join the TIOLI (Take It Or Leave It) challenges each month. That is it, thread is open! Hi Anita, happy new thread! Those cormorants are special birds, so primitive looking, even a bit spooky at their nesting sites. >12 EllaTim: Thank you, Ella. Yes, they are special, primitive looking birds. Before the cold winter of 2012 there were lots of them. Often in large groups of 100 birds or more. In 2012 their numbers were decimated, and only recently I see larger groups again. Hi Anita, and happy new thread! The cormorant pictures are wonderful. Thanks for sharing. I wonder what happened in 2012, but am glad you're seeing larger groups again. I like cormarants, I remember seeing them from the train when I was travelling to Utrecht years ago Anita. >14 karenmarie: Thank you, Karen! We had a very cold winter in 2012, even the big lakes were mostly frozen. The cormorants dive for fish, so because of the ice they could not reach their main source of food. This decimated the large colony in the Oostvaarders Plassen (the nature reserve that is close to our home). >16 Caroline_McElwee: They were heavely hunted in the past, Caroline, as fisherman saw them as rivals. Since they are left alone their numbers have increased. It is impressive to see a large flight diving into the water. Happy new thread, Anita. Great toppers. 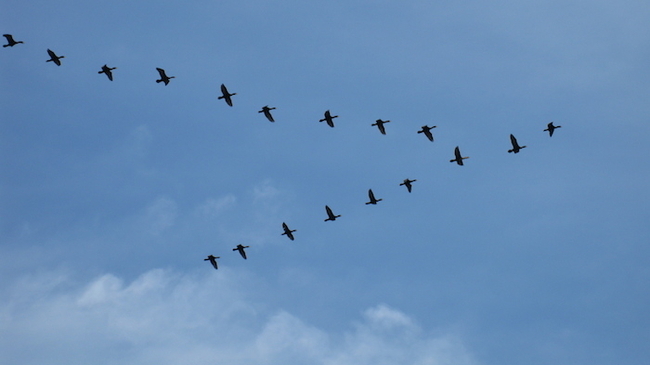 I hadn't realized birds other than geese flew that *V* formation. >18 jessibud2: Thank you, Shelley. >19 paulstalder: Thank you, Paul. The same here, fishermen used to kill them as they eat a lot of fish. Happy new one and happy Sunday, Anita. >21 banjo123: Thank you, Rhonda! At least I cull more books than I acquire. >23 Ameise1: Thank you, Barbara, enjoy what is left of Sunday. Hi Anita, happy new thread my dear. >25 johnsimpson: Thank you, John. I can see that the book made an impact when it was first published. And I am sure the makers of Star Wars knew this book. The world Herbert created was very good, but the characters were rather flat and predictable. >27 FAMeulstee: Alas. I think it helps to have read it 45 years ago when it was transformative. Which I did. A boy is up on a lighthouse, waiting for his boyfriend to return from sea. 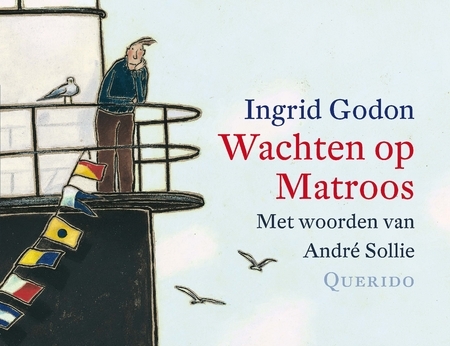 Lovely illustrations by Ingrid Godon and a sweet story. 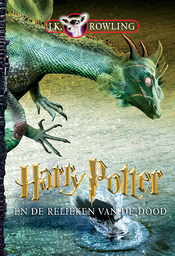 The last Harry Potter book, great, a wonderful read. It was a re-read, but I could not stop reading until the end. I am sure I will read all seven books again one day. Happy new thread, Anita! We have large numbers of double-crested cormorants on the river near our house every summer. >17 FAMeulstee: in China, and some other places the fishermen use the Cormarants to catch the fish Anita. Happy New Thread, Anita. Hooray for the comorants! We get the double-breasted variety around here. I saw one on Friday. Yah! Good decision on not continuing the Dune series. The rest of them are poor reflections on the original and in my opinion became ways to cash in on previous success. >32 harrygbutler: Thank you, Harry. Are those cormorants migrating, or is there a lot of fish in that river in summer? >34 Carmenere: Thank you, Lynda! >36 drneutron: Good to know, Jim. >1 FAMeulstee: I could not help by notice the formation of the birds in your first post on this thread. I love the music of Joni Mitchel (a folk singer extraodinare.) Not only does she write her songs, but she sings and accompanies them. Each song is a poem. One of her early songs called The Urge For Going, has the phrase "See the geese in chevron style." I had never heard the term chevron style until I hear this song. It is an early one, but a great one! Thank you for visiting my thread Anita, even though I haven't visited you often. It has been a tough year for me. I know you understand. I appreciate you! I have attended several speaker series over the years and all are excellent. I am looking forward to this one, too. Happy new thread!! Sorry you didn't care for Dune. I loved the series, but then I read it ages ago. Harry Potter rocks and I am looking for her next Cormoran Strike detective novel due out in like two weeks! >38 Whisper1: The birds keep eachother from the wind, Linda. Thanks for sharing the Joni Mitchel song, I hadn't heard that term either. I know why you are not much around, and happy if you feel up to it! >40 Berly: Thank you, Kim. I am eagery waiting for the next Cormoran Strike! And the new Nic Costa! 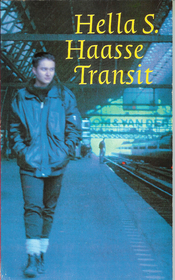 Sequel to Soldaten huilen niet, fictional autobiograpy of Quentin Bell, son of Clive and Vanessa Bell. 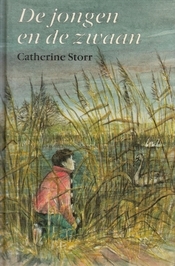 In this book the main character is Angelica, Quentin's half sister, together they talk about their memories of life with their aunt Virginia (Woolf), who is missing. Their mother got a letter from Virginia, but doesn't want to share. Slowly Quentin and Angelica find out what demons their aunt was fighting. The title is the first words of T.S. Eliot's poem The Waste Land: April is the cruelest month. 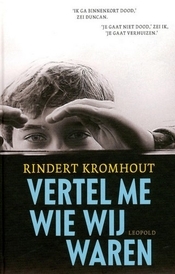 Again a great read, I want to read the last book Vertel me wie wij waren as soon as possible! 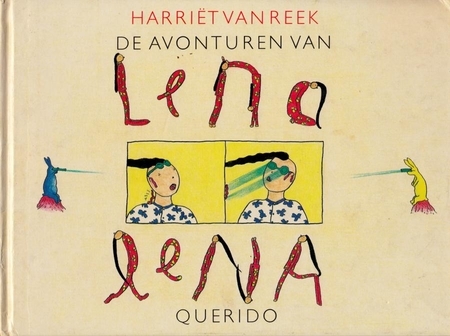 With comic like drawings on one page, some tekst on the next page, we see and read about Lena Lena. Daily life, with absurdist twists and humor. Maartje is in the last class of primary school. We follow her at school and at home. She does some foolish things, but her friends and mother always stand by her. She falls in love with Tim. Last book of the fictional autobiograpy of Quentin Bell, son of Clive and Vanessa Bell. In 1978 Quentin is visiting Charleston Farmhouse for the last time, the only remaining resident is the painter Duncan Grant, the father of his half-sister Angelica. Unexpected Angelica arrives, and they spend the evening together talking about the past, as Quentin is writing his final book about his family and the Bloomsbury Group. A year later, after Duncan has died, they meet Deborah Gage, who wants to rebuild Charleston Farmhouse, like it was in their youth. >41 FAMeulstee: Me too on the Strike- I saw the cover for the first time today and got all excited, then realised I still have to wait. Sigh. >27 FAMeulstee: >28 ronincats: I'm sorry that Dune no longer holds up for the first-time reader. I loved it and have reread it. I stopped before I got through all the sequels, but the first one was one of the great books. Yes, the sequels never could match the original and I stopped after the third, but I do love Dune itself. >37 FAMeulstee: Hi, Anita! The cormorants come in for the summer and fish in the river, then head south for the winter. I read Dune many years ago and liked it well enough at the time. I think I read a couple of the sequels as well. However, I've not been tempted to reread it more recently, however, and doubt that I'll ever get back to it. >46 charl08: Waiting is always difficult, Charlotte, and in this case we have been waiting a long time! >47 LizzieD: Thanks, Peggy, or it was just me. As a first book into the genre it might impress much more. >49 harrygbutler: Here they stay all year, Harry, so I didn't know they migrate in other places. >50 jnwelch: Thank you, Joe! Safe travels, I am exited to meet you in 9 days! 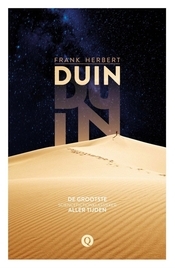 More Dune here: I also read it years ago, and liked it. For me there is a lot of visual appeal to the story, the desert, the sand and the worms in it. There was at least one movie made out of it. I know, there was a lot more to the book, but this is what I see in my mind when you say Dune. >52 EllaTim: I think I saw the David Lynch movie a long time ago, Ella. My mental image is sligtly different, more like pictures of the Sahara, with in the distance something moving under the sand. >28 ronincats: I’m sorry that Dune didn’t impress you. 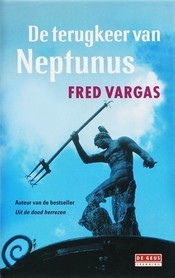 I read it when I had not read much other science fiction so it impressed me greatly. My husband and daughter love the movie(s). Me, not so much. >31 FAMeulstee: I re-listen to Harry Potter every couple of years. It takes longer now that I don’t commute to work – 11 months most recently. I haven’t re-read them in quite a while. I pre-ordered Lethal White in July and anticipate it showing up at my house on its release date Sept. 18th. Yay. I can hardly wait. 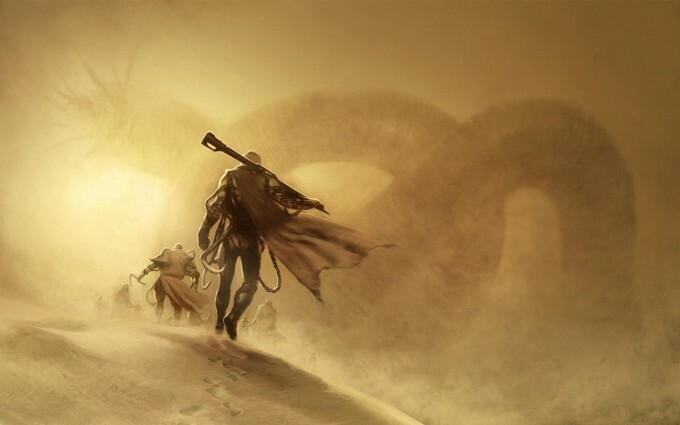 Dune would have made more impression if it had been one of my first encounters with the genre. I started SF(F) long time ago with Julian May's Saga of the Exiles and Galactic Milieu, they impressed and are still favorites. 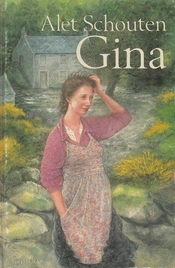 After World War II Gina and her husband Dirk emigrate to Wales. Dirk was in the Dutch-Indies during the war, and has still nightmares, but never talks about that time. Gina survived the hunger-winter in the Netherlands. They both want to make a new start in Wales. They first stay on the farm of Bill's sister, get their own place and finally go to a large farm and have some children. Most of the book is told from the perspective of Mark, the son of Gina's sister Annet, who spends some holidays in Wales. After reading the books about the Bloomsbury Group by Rindert Kromhout (>42 FAMeulstee: >45 FAMeulstee:) I wanted to read a book by Virginia Woolf. It took me a while to get into the writing style, as I haven't read "stream of consciousness" before. 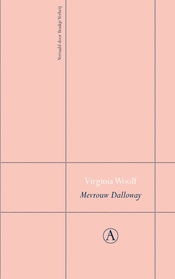 A day in the life of Mrs Dalloway, an upperclass woman in London, past World War I, who gives a party that evening. Meanwhile we meet some other characters, like Septimus Smith and his wife Lucrezia. Septimus has shelshock (PTSS), but his doctor assures his wife there is nothing wrong with him... a terrible example how psychiatric conditions were marginalised at that time. It struck me how large the gaps were between class, not even a century ago. One of the worst entries in The Black Stallion series. It felt like I was in the writers bad trip. I understand Farley wrote this after his daughter died, the grief in the book feels real, the rest isn't worth the read. Story about the owner of a bookshop, a child left in the bookshop and finding a partner. Predictable quick fluff read. From the book description I hoped for more, but it wasn't. Hi Anita! 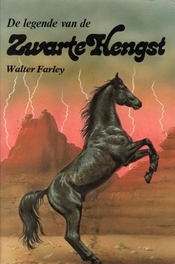 I loved, loved, loved all The Black Stallion books as a kid, but I didn't I ever read that one; it was written after my time. Enjoy your meetup this week! I'm envious! >60 streamsong: I was reading the complete Black Stallion series at the The Black Stallion Series Relaxed Shared Read, Janet, and I am a completist. The first books are the best ones, so next month I am going to finish the project with re-reading the first book. Today the papers of the court arrived with the judge's ruling concerning my mother. She is declared to be legaly incapable due to dementia and my father is appointed to be her legal supervisor. So glad it is all over now! Tomorrow we will go to The Hague to visit my parents. >62 FAMeulstee: Hooray! what a relief. Great news, Anita. And the appropriate resolution. I hope the visit is a good one. Clapping. Phew. I hope things are simpler going forward now Anita. >62 FAMeulstee: Great news given the circumstances! Wishing you a happy Sunday and a good visit. Glad to hear that weight is taken off your shoulders, Anita. Hope the meet up goes well. >62 FAMeulstee: What a relief Anita! I'm glad that's over and done with! Thanks Rhonda, Shelley, Caroline, Nathalie, Charlotte and Ella! We already knew this was the outcome, but very glad we have it on paper now. My parents were not in good shape today. We first visited them both at my mothers place. She didn't recognise us, we went for a walk (my mother in the wheelchair; my father does that 6 times a week) and at some point during the walk she did remember us. Later that faded again. Then we went to a very small museum in the center of The Hague the Prince William V Gallery. It originally opened in 1774. It is only one big room and a small entrance room and all the walls are covered with paintings (the way they were showed over two centuries agao). After this visit we went to my dads place, had a nice walk in Clingendael and had diner with him in the restaurant. Congrats on the legal verdict! Phew. How nice to have that in writing. Glad you go to spend some time with your parents, too, even if it was a bit difficult. >70 Berly: Thank you, Kim, a big relief especially for my dad. It was indeed hard to see how the whole legal mess has had an impact on my father. It will take a lot of time to heal, I hope he will have enough time to bounce back. I'm sorry that your parents weren't doing well yesterday, Anita, although it must have been at least somewhat of a relief when she eventually recognized you. Hi, Anita -- I just realized that I had "lost" your thread. Glad you got the official papers about your parents, and I hope your father can start recuperating now that the stress is over. >72 kidzdoc: Thanks, Darryl, for us it was a pleasant surprise, as she didn't recognise us at all when we visited her last time. It was harder on my dad, who hadn't witnessed it before. Thank you, my dad really needs some rest now. We support him as much as we can. For his sake I hope my sister doesn't stirr things up again. Hi Anita- Dune was one of my first scifi reads when I was a teenager, I loved it then. Later I read a sequel or two and found them ok. I wouldn't read it again, I have a rule not to reread books I really loved when younger. Glad the legal issues around your parents are settled. >75 avatiakh: That can be a wise desicion, Kerry, most of my re-reads are books I KNOW I am going to love again. Others probably are better off not reading again. Thanks, we were all relieved (except my sister of course). >77 FAMeulstee: Oh Anita, 7th GP in 6 years, that's awful. And extra difficult for you, having to explain everything again. I can imagine you're not happy about this news. One of our previous GPs has started her own practice in Lelystad. We might switch to her, although it is a bit further away. Story about the assassination of Reinhard Heydrich in Prague 1942 by Jan Kubiš and Jozef Gabčík. They had fled the country and were dropped by the allies for this killing. Nazi Germany reacted harshly, two complete villages were erased as payback. The writer doesn't only tell what has happened back then, but also tells about his own findings, while researching the subject. In 2015 I went to the Rothko exhibition in The Hague, and felt I was missing something. I do like many abstract painters (Ellsworth Kelly is a favorite), but Rothko's works didn't really touch me. 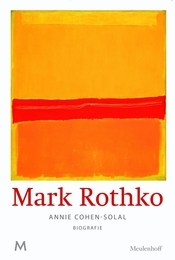 Then I saw this biography on Caroline's thread and thought it might help me to understand Rothko's work better. And it did help me appriciate Rothko more, following his life and works gave more sence to the way his paintings evolved. It was also an astonishing view into the world of art, how museum directors, gallery owners and art schools have a big influence on who becomes a standing "artist" and who doesn't. Somewhere in the book someone mentions how visionary Popes were, as a list of their commisionairies is a list of importants artists through time. I think it is the other way around, the artists who were allowed to work for the Vatican became standing artists because of that. 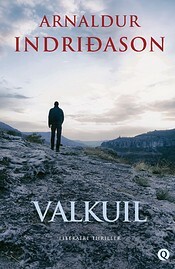 I am a fan of Indriðasons books and was happy to find a copy of his latest book at the library. Sequel to The shadow killer, with Icelandic policeman Flóvent and military policeman Thorson working together in Iceland during World War II. Early in WWII Icelandics from Danmark and Norway are allowed to return to their country. An Icelandic woman from Kopenhagen travels north, where she will get on the ship that will bring her back home. She will meet her boyfriend there. But the boyfriend never arrives and later she learnes he has been send to a concentrationcamp in Germany, as he joined the Danish resistance. During the voyage home, an other passenger on the ship disappears. A year later Flóvent and Thorson have a case with a drowned man, that seams a suicide, a violent murder and a woman who is missing some time. As always a well plotted mystery and an enjoyable read. After his trilogy about Quentin Bell and the Bloomsbury Group, Rindert Kromhout now dives into the world of the Mann family. 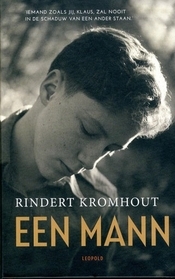 Fictional autobiography of Klaus Mann, writer and son of Thomas Mann. 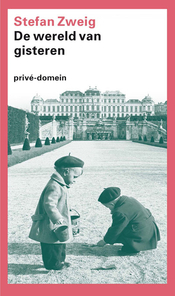 Starting in Paris, 1926, where Klaus has gone to finish his book and to avoid his famous father Thomas Mann. In Paris he meets many writers at the bookstore of Sylvia Beach "Shakespeare and company". His sister Erika will marry soon and as his book writing doesn't go well, so he decides to write a long letter to his father to clear the air. I learned a lot about Germany in the 1920s and the members of the Mann family. I hope Kromhout will write more about them. I'm sorry that yet another GP is leaving you, Anita. That's not right at all. Sorry to hear about the doctor Anita. I wonder if technology will solve the GP issue in the future (a GP robot? Remote treatment?). It doesn't seem as though conventional approaches are working. I really liked >80 FAMeulstee: - clever book. It's annoying to keep telling a new doctor the same thing. I hope the next one is at least a good one. >84 kidzdoc: It isn't, Darryl, but there is not much we can do about it. >85 figsfromthistle: Thank you Anita, we do hope the next one stays a bit longer. >86 charl08: Thank you, Charlotte, it was very unexpected this time. Somehow our neighborhood wears them out. 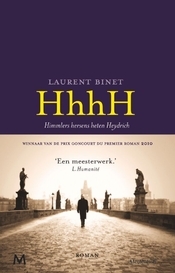 Yes, HHhH was a clever book and a good read. I thought it wasn't available in English translation yet, or do you mean the previous book? >87 SirThomas: Yes it is, Thomas, and because of that it went a few times wrong with my thyroid medication. Oh, and I completely forgot to mention last weeks good news! The blod results were good for Frank, he was declared free of diabetes (by the 4th diabetes nurse since December, not only doctors go fast in the physicans practice here...). He can stop taking the pills and next check in two months. If those results are good, he got rid of it within a year! Just started the last book for this months TIOLI sweep. As usual with so much happening, I hide in my books and read like mad. >77 FAMeulstee: that is so stressful for you Anita. >89 FAMeulstee: so glad to hear Frank's news. I still have work to do on that. Crossing fingers that the appeal doesn't go ahead. >80 FAMeulstee: I do have this in the pile somewhere. >81 FAMeulstee: Glad the Rothko worked for you too Anita. I need to go and look at some of his work again soon. Congrats for the good news for Frank. That's excellent. I am astounded at the turnover with your doctors. I wonder why they leave with such frequency. Are they all retiring? Maybe the place ought to hire younger ones! That alone must be exhausting. Congratulations with Frank's good results! I seem to remember that he changed his diet, and you two have a walking program, to achieve this? "Reykjavík, August 1941. When a travelling salesman is found murdered in a basement flat, killed by a bullet from a Colt .45, the police initially suspect a member of the Allied occupation force." >90 Caroline_McElwee: Thank you, Caroline, it is stressful. Not sure yet what is best to do, wait and see what comes next or changing practice. I am so proud of Frank! There is some work of him in the Tate Modern I think? >91 jessibud2: We live in a rather poor and neglected part of town, Shelley, most of them were young, but got burned out. I suspect there is some trouble between the doctors and the management of the practice. Besides that it is difficult to get doctors to this part of the country. It is a problem in the whole Northern part, even some hospitals closed down because of lack of staf. >92 EllaTim: Thank you, Ella! Yes that is what we did. After our last dog died we were already changing routines, so it wasn't very difficult to implant some changes to get the diabetes down. >93 charl08: Yes, Charlotte, The Shadow Killer is the previous book. Before that one is The Shadow District a kind of introduction, although it is set many years later. Now I am 6 reviews behind, usually I can keep it limited to 4 to go. I hope to get to that later tonight. Based on real events, the sad story of a Jewish child in WWII. Kiki's father is often away. He is a doctor and helps people in war zones. Kiki and her mother worry a lot when he is away and Kiki tries to change the odds in a very creative and a bit disturbing way. Imagitive, touching, but also a bit disturbing. Heavy subject, told light enough to be digestable for kids. Underground youth culture in Japan. "Barbie"-girl Lui meets punk-boy Ama, Lui is facinated by Ama's body modification (split tongue) and wants the same. She ends up into a spiral of love and violence, where the only feeling that is left is pain. 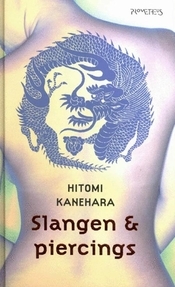 A complete different kind of Japanese literature. Lui tries to escape her fate as "Barbie"-girl, the more accepted alternative way, but finds out too late she entered an even more suppressing and unequal environment. >95 FAMeulstee: Is it going to be a double sweep again? You have been reading a lot of good books, small wonder you can't keep up with your reviews. I think I'd like to read the one by Ida Vos. 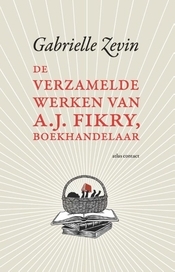 Fictional diary of Karel, a student in Amsterdam, 1944. He is in hiding, to avoid being send to Germany for forced labor. Together with a friend he has great plans to resist, and during the preparations of this operation he falls in love with Madelon. His friend is arrested by the Germans. Madelon has a fiancé, but he seems to have no objection to Karel. Their relationship gets bad in time and Karel looses his hiding place. After being chased and shot by Germans, Karel kills one of them. He finds a place to hide, but finds no medical help for his servere bullet wound. >99 EllaTim: No double this month, Ella, for some challenges I could not find a second book to read. 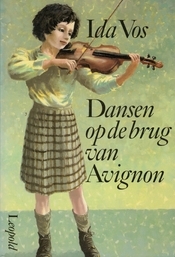 I liked her other book Wie niet weg is wordt gezien even more than Dansen op de brug van Avignon. The last six books were all rather short ones. It seems impossible to write more than four reviews straight, so the next two have to wait. Off to bed now! Happy Saturday, Anita! How did you enjoy the Meet Up? I am sure it was wonderful. Sadly, I have not met Darryl yet, but I can attest that Joe & Debbi are a lovely couple. >102 msf59: It was a wonderful meet up, Mark, three more LTers met in real life! Joe and Debbi are indeed a lovely couple, we met Ella for the first time, and we will see Darryl again tonight. Life is good! Just finished All quiet on the Western front, WOW that was an impressive read! >104 FAMeulstee: - I read that one years and years ago and it haunted me for a long time. >105 jessibud2: I can understand, Shelley, war is always hard. Remarque did well describing the horrors in the trenches. >104 FAMeulstee: Did you finish that one yesterday evening, Anita? I still want to read it. WWI passed Holland, but it was devastating for all countries involved. >107 EllaTim: No, I didn't come that far yesterday, Ella, so I finished it this morning. I have read a lot about WWI lately, because I didn't know much about it. Our country wasn't involved, so it is mostly ignored in our history books. 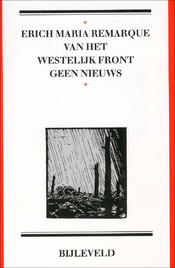 This was the first book about the trenches from German perspective. Next one will be The Ghost Road, the last book in a trilogy about WWI. Yesterday evening we went out for dinner with Darryl in Utrecht. As always we had a great time. Today it is packing and cleaning day, as we leave for Vlissingen tomorrow. I am not sure if we will have good internet connections, so it might be quiet here the next week. A girl returns to Amsterdam, after a long travel though Europe. She went alone, as the two friends who would accompany her, backed off. Now she is searching them in Amsterdam and meets one of them, now a homeless guy and he doesn't recognise her. She finds a place to stay with an old professor, who has rejected the world and lives reclusive in a large house. He regrets that the ideals of the sixties are gone and hope the next generation will find new ideals. 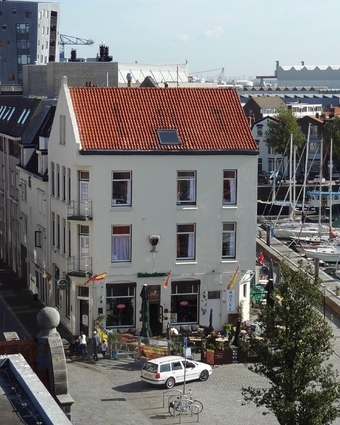 >109 FAMeulstee: Vlissingen, a holiday? Have a nice time there! Geert Mak did spend a year with the people on the Galata Bridge in Istanbul. He tells their stories, the vendors, the anglers, the beggars, where they came from and how they ended up here. He mixes this with some history of the city of Istanbul, that is on the edge of the West and the East. I love the way Geert Mak mixes journalism with history. 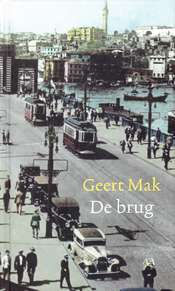 I like Geert Mak books. 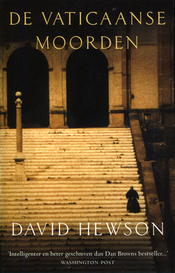 >115 Caroline_McElwee: So do I, have you read In Europe: Travels Through the Twentieth Century? 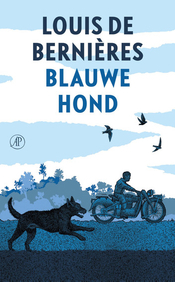 Twelve year old Lenka lives on a collective farm in Czechoslovakia in the 1960s. She doesn't like the other girls and prefers to join the boys, but they don't want her around. She feels alone, just like Prim, the stallion, who is said to be untameable. While the supervisor of the farm tries to tame Prim in a harsh way, Lenka tries to become friends with the large stallion. When Prim escapes, Lenka finds him. Besides a romantic horse story, this is also a nice look into the Czechian country side in the 1960s. Paul Bäumer and his class mates were in their last year of school in 1916, when one of their teachers pesuades them to join the army. They fight in the trenches in Belgium, where many of them loose their life. Yet they feel close to eachother and find their way to cope with the horrors around them. 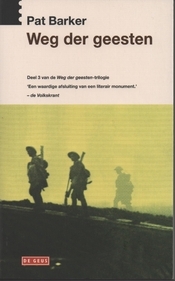 Ultimate book about the horrors of World War I, despite also an hommage to humanity. 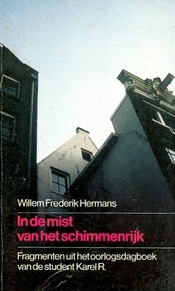 The Nazi's burned this book and took German citezenship from the author. 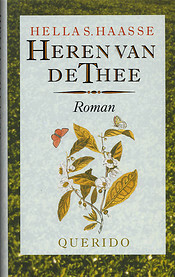 ETA: The woodcut on the front cover was made by Arie Zonneveld. He went to Belgium to get inspiration and made more illustrations for the book. 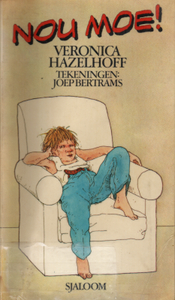 Sadly the German publisher prohibited publication for 50 years, because the movie rights had been sold recently. Most of them were lost, but this one could be used 50 years later. Anita, I don't know if you are familiar with the British author Michael Morpurgo. 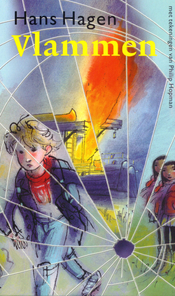 He writes for children but some of his stories deal with war. The first ones of his that I read included Private Peaceful and Dear Olly. He is a very good and very prolific writer and I would guess that most of his works would be translated. >119 jessibud2: Yes I know him, Shelley, most of his works are translated. I have read Private Peaceful last year. War horse is good too, and recently I have read Why the whales came, set in The Scilly Islands in the summer of 1914. Hi Anita, very sorry about the GP. How annoying that they change so often. Don't you need some "new evidence" or proof that something was done incorrectly for an appeal? I hope your sister will give up on that idea and that it was just an empty threat. Wonderful that you had another meetup with Darryl, I'm hoping for some pics on his thread. >121 Deern: Thank you, Nathalie, very annoying. Sadly we can't prevent GPs from leaving. No, for appeal you don't need new evidence, but you do need a lawyer. As my sister could not find a lawyer to take the case, I am almost sure she won't be able to find one for appeal. We will, cleaned the house today. We leave in the afternoon, so the packing can wait for tomorrow. >116 FAMeulstee: yes, an excellent read Anita. >123 Caroline_McElwee: I thought the same, Caroline. 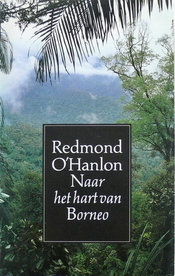 In 1983 Redmond O'Hanlon and James Fenton traveled to Borneo, in search for the Bornean rhinoceros. They are accompanied by three Iban guides, traveling upstream to the Indonesian border. O'Hanlon writes with lots of humor about the troubles of traveling through the jungle and made me lough out loud numberous times. I am very happy to have read this book again, the first time was somewhere in the 1990s. My copy is signed by the author, as O'Hanlon was signing books in 1997 at bookshop Donner in Rotterdam and we lived near at the time. I'm sorry to hear that your sister is upsetting everybody again, Anita. I hope that she gives up soon. Have a great vacation. Hi Anita! Good news seems to be outweighing the bad news here, always a good balance. I'm sorry about losing your GP again. I hope the new one is good. Congrats on getting the paperwork re your father's guardianship of your mother. I hope your sister can't find a lawyer to appeal and gives up on the idea. Congrats, too, on Frank's now being diabetes-free, and I hope you have a safe and wonderful vacation. And finally, 333 books read this year. A good total so far, I think. >126 Familyhistorian: Thank you, Meg, we hope so. Looks like I am heading for around 450 again this year. From Monday until this morning we stayed in Vlissingen and today we moved on to Hellevoetsluis, staying here until Monday. The owner of the place was very nice and found us a place on the other side of the street without extra costs. So we satayed at hotel Ambiente, a room at the first floor where we could see the big ships passing on the Western Scheldt, on their way to Antwerp. 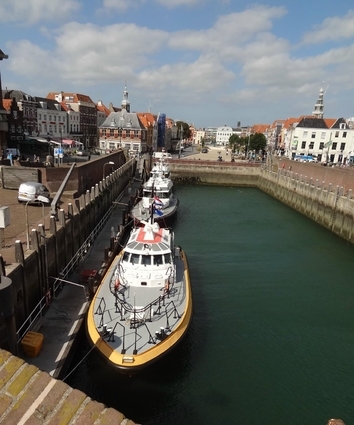 Vlissingen is a lovely city, with a nice old inner city, a harbour, shipyards, and some nice beaches. On Thursday we went to Breskens on the other side of the Western Scheldt by ferry and walked a bit around. That evening we had dinner at De Belgische Loodsensociëteit (The Belgian Pilotssociety), located at the Boulevard de Ruyter, so we could seaview and could see the small pilotsships getting alongside the big ships, to get them to Antwerp. 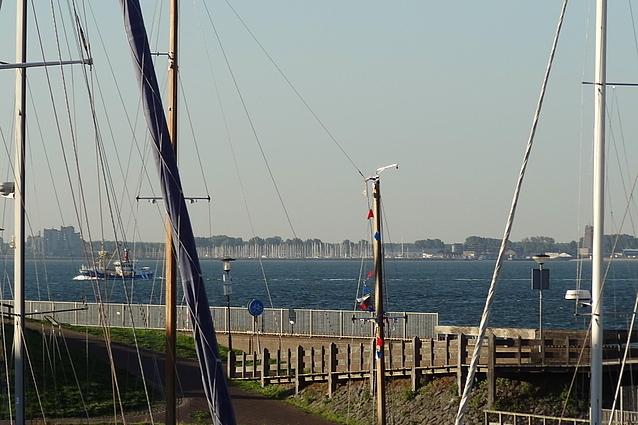 Today we had some hours between leaving Vlissingen and arriving in Hellevoetsluis. We decided to do a short visit to Zierikzee, an old harbor town, where Frank went to highschool. The old schoolbuildings were gone (Frank told me they weren't very nice). One was replaced by nice townhouses, that match very nice with the old buildings of the city. The other is a parking place now. Then we went on the Hellevoetsluis, where we have a nice small house on a vacation park.After some busy days, I now have some time to catch up here and read! ^ looks lovely. I love that building in the first one. >62 FAMeulstee: I'm glad to hear you got the paper. >77 FAMeulstee: Sorry to hear about your GP change. I hope he/she'll be a good one. >82 FAMeulstee: This is the third of his Reykjavic Wartime Mysteries series. The first two are translated in English. Wishing you a wonderful weekend, Anita. >130 LovingLit: That is the hotel where we stayed, Megan. Vlissingen was a good place to be. >131 Ameise1: Thank you, Barbara, we will see how the next GP turns out. I would say the second. The first book was more like a prequel, as it takes place in present time, with flash backs to the 1940s. The next two are completely situated in Iceland during WWII. We spend our weekend in a rainy Hellevoetsluis, tomorrow we go home again. 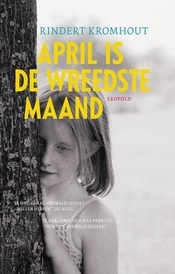 Last Friday the winners of the Dioraphte Jongerenliteratuur Prijs (mayor YA award) were announced. So glad you had a happy LT meet-up!! And hurray for Franks's good news on the diabetes. I think you are well on your way to meeting your goal of 450 again--wow!! Luckely Frank's diabetes was caught early, so he got rid of it within a year. Lovely pictures! Glad you're safely back home! On a ship to Buenos Aires a group of passengers challenge the world chess champion, who travels on the same ship. Of course they loose from the champion, but one of them can't swallow their loss and is willing to pay for a next game, then an other passenger starts helping the group and they win. The unknown chess master has a harrowing backstory about the way he learned to play chess so well, involving imprisonment by Nazi's in Austria. Control of the mind and strategy relating both to chess and survival in Nazified Austria. A very good and intriguing read. In autumn 1918 men are still dying in the trenches in France and Belgium, the Spanish Flue is taking many lives and Dr Rivers is still treating his patients to make them able to go back to the war. Eventually Billy Prior and Billy Owen are going back to the war. We get to know more about Dr Rivers, as he is thinking back to his time just before the war, when he was working as an anthropologist in Melanesia, among a tribe that only recently gave up head-hunting because of colonial rule. Their attitude towards life and death seemed so different at that time, but Dr Rivers now sees similairities in his patients. The final book of the Regeneration trilogy, was like the previous books a very good read. The first book Regeneration made the largest impact and remains my favorite. After the sudden death of his father, 11 year old Mick is send from Sydney to his grandfather in West-Australia. His mother has a nevous breakdown and is not able to take care of him. Outback farm life is completely different from city life and it takes a while before Mick adapts to his new environment. After a storm he rescues a red kelpie puppy, they name him Blue. Pieter Vos has to deal with a new boss, Jillian Chandra. She has made her way up into the police force mainly by clever politics and now tries to implant her police politics into the Amsterdam police force. Vos needs space to do his job, but Chandra does her best to keep him confined by rules. Meanwhile a serial killer seems to be back after a four year hiatus, murdering young girls and leaving his mark on them. 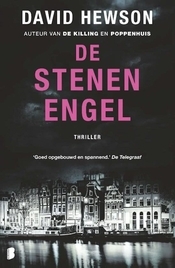 Pieter Vos rescues a victim, who barely survived and finds an unknown man murdered next to her. A good and clever mystery. I liked the previous three books a little bit better, as this plot stretches a bit on the far side. Wow - congrats to Frank on getting his diabetes under control. It's something I work on, but haven't yet been quite so successful. Your vacation photos are wonderful. Thanks for sharing. I love watching the big ships. I'm another fan of The Hate U Give - how interesting that it won that award. Thanks for sharing. >142 streamsong: Thank you, Janet, Frank was lucky the diabetes was found in an early stage. And he was determent to avoid insuline injections, so he was VERY motivated. That part of the goal is working well, about 2/3 of my readings are own books, and of those 123 are removed from the shelves. Such good news about Frank's diabetes! And your reading is moving along at a great pace. Happy Wednesday, Anita. I put Chess Story on my library list. Hi Anita! Lots of good reading going on here. Glad you had a good time in Vlissingen and Hellevoetsluis in spite of the rain. I understand the fascination of watching the big sea ships. We go to IJmuiden to do that, but the Schelde is better, I think. Hi, Anita. So great to see you and Frank in Amsterdam! We loved our visit there. We're back home safe and sound. Now we just need to catch up on mail and errands and so on. You've had some good read's Anita. Glad you enjoyed Pat Barker's Regeneration Trilogy, I still think it's her best work to date. Maybe I'll do a reread over the Winter. >129 FAMeulstee: Glad you had/are having a good holiday. >144 ronincats: Thank you, Roni, we were very happy about it. >145 Ameise1: Thank you, Barbara. Chess story was a short, but very good read, I hope will enjoy it! We had a very good time, Vlissingen felt like a small cross between Scheveningen (the sea and the boulevard) and Rotterdam (the harbor and ships). We probably would like IJmuiden too. Always a lot to do when returning home. It was nice to follow you two with all the pictures on FB. >148 Caroline_McElwee: Thank you, Caroline, many very good and excellent reads this month! I had not read anything by Pat Barker before and was impressed. We are back home, and Frank goes back to work next Sunday. Then we return to normal life. The houseboat of Bo's grandfather is on fire, his grandfather noticed just in time and carries Bo from the boat. Then Bo tells what happened in the week before, and how he ended up staying with his grandfather. This novel is based on real events, the writer got access to family archives and letters. In 1871 Rudolf Kerkhoven goes to Java (Dutch-Indies), after finishing his study in Delft. His parents and other relatives went before him. After a decade of hard work, his tea plantation makes him a fortune. Meanwhile he gets married, becomes a father and has some trouble with his siblings. First Nic Costa book, re-reading them all, as book 11 The Savage Shore has been published recently. In this fist book of a series we meet Nic Costa, a young cop in Rome. Some gruesome murders, people are killed the same way martyrs from the early days of Christianity died. Nic Costa and his partner try to find the clues behind these murders and hope they can stop the killings. Commissaire Jean-Baptiste Adamsberg's team from the Paris Serious Crime Squad is due to fly to Quebec for a DNA profiling course in Quebec. Adamsberg's second-in-command Danglard hates flying and hopes a miracle will keep them in Paris. No miracle happens, except that Adamsberg finds a recent killing near Strasburg very much alike, as those of a serial killer, who has died. A very statisfying read. A good mystery, combining Adamsbergs intuition with Danglards logic and as always also funny at times. >153 Ameise1: Yes, Barbara, I re-read books I have enjoyed in the past. I recently bought all Nic Costa books to enjoy them again and to prepare for the newest book. >154 FAMeulstee: I've read and enjoyed book 1, 3 and 5 of this series. A boy lives with his deaf grandmother, away from the city. Each day he walks the 2 miles to school and back in the afternoon. Once a week he goes to the shops to take that weeks groceries home. He doesn't have friends and it is hard to communicate with his deaf grandmother. One day he finds a pair of swans in a small, hidden lake. When the swans die of ledpoisoning, he rescues one egg. He takes care of the young swan, when it comes out of its shell and feels love for another being for the first time in his life. Impressive autobiography of Stefan Zweig, that he finished just before his suicide in 1942. 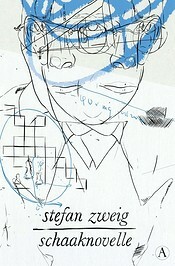 Stefan Zweig was Austrian, Jew, Humanist, and European, he is writing about his years between 1890 and 1940. Very turbulent times starting in the declining Austro-Hungarian Empire, into WW I, followed by the roaring twenties, the rise of the Nazi's and the start of WW II. >158 FAMeulstee: I loved that book too Anita. >156 Ameise1: Then you have some good ones to go, Barbara! >159 Caroline_McElwee: Glad you also loved it, Caroline. I had not read any books by him, I have read his Chess Story earlier this month and want to read more of his books now. September was an exceptional reading month with 4 books rated 5* and 12 books rated 4½*. >158 FAMeulstee: I still haven't got to this one, it's on the list! >162 FAMeulstee: Sounds like a great month of reading. Wishing you a good week Anita. >163 charl08: Thank you, Charlotte, wish you a good week too! I hope you get to Stefan Zweig. I learned a lot from The World of Yesterday, especially the years before WW1. >1500! Wow. So that's over ten or eleven years? Congratulations, Anita! >166 EllaTim: Yes, Ella, in 10 years and 9 months. Most of them (nearly 1000) were read in the last 2 years, before that time my reading numbers were much lower. >154 FAMeulstee: I love the Adamsberg books. I need to read this one. Congratulations on another great month of reading. I hope you have a good October.